Xuhui is a clean free modern resume template. This resume template offers a stylish design, hard to get in a Word format. The vibrant colors -while subtly used- and the modern design will make your resume stand out. It is designed for 1 page or more if needed: the right-side vertical gray banner will be repeated for each additional page. Preferably use an ID photo with a transparent background. 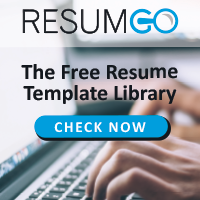 This free resume template is also very easy to edit and to customize with MS Word (DOCX format): it is smartly designed using Text and Picture Content Control functions from Microsoft Word. Just click once in each text field to edit and enter your own information! Also, click the picture placeholder to insert your ID photo. ¹ this resume is designed with the font above ; for an optimal result, install this font first, and then open the DOCX file. Download ‘Xuhui – Modern Resume Template’ for free!